Laparoscopic instruments are made of durable materials and usually high quality stainless steel. Instruments all have a very narrow shaft so that they can fit inside laparoscopic ports. Sizes typically range from 3 mm, 5 mm and 10 mm sizes. A variety of tips are available for manipulating the tissue and handle styles may allow ergonomic rotating, grasping and locking abilities in a precise fashion. Laparoscopic instruments are used along with a laparoscope, which is a thin telescope fitted with a cold light source and a video camera. Inert gases like carbon dioxide are used to inflate the abdominal region which increases the distance between the organs and the abdominal wall thus enlarging the operating field. Common instruments used during laparoscopic procedures include a: laparoscope, needle driver for suturing, trocar, bowel grasper and surgical mesh. Surgical scopes are one of the oldest instruments used by medical practitioners since ancient times. Modern surgical laparoscopes used for minimally invasive procedures are a far cry from the simple hollow tubes that gradually developed to include lenses for magnified vision. Today, scopes are more like an apparatus with multiple parts that include a CCD camera, viewing device, lens cleaner, and an energy-supply device. A needle holder is used by laparoscopic surgeons to hold suturing needles when closing wounds. Forming slip-knots to close wounds and surgical incisions requires precise skills. Suturing can often be tricky to use owing to the property of “memory” which causes tissue to resist deformation. Needle holders have three parts – the jaws, joints, and handles. The instrument is classified as straight or curved depending upon the shape of the jaws. Along with the probe, scalpel, and cannula the trocar is one of the oldest implements used by medical practitioners. A trocar is shaped like a pen and has a sharp triangular point. Trocars are typically placed inside hollow cannulas and introduced inside body cavities to assist in draining fluids. Trocars are now referred to as both the initial entry device as well as the hollow cannula used during the operation. These instruments play an important role in laparoscopic surgery. Instruments such as scissors and graspers are introduced using surgical trocars. A bowel grasper is used during minimally invasive bowel surgery. The graspers are maneuvered through incisions that are usually no larger than 5 mm. The advantage with using laparoscopic graspers is that they enable the surgeon to grasp and manipulate abdomen tissue with precision without having to cut open the abdomen. The graspers facilitate observation, excision, and biopsy procedures. Hernia mesh is an implantable device that serves as scaffolding for your natural tissue to grow into and hence reinforce the area. The mesh itself only provides minimal support. It is your own tissue that is ultimately responsible for the repair. There are many different types of surgical mesh that can be used to repair hernias and other defects of the musculoskeletal system. Minimally invasive surgery now has a technological armamentarium that can help facilitate your operation and speed your recovery. 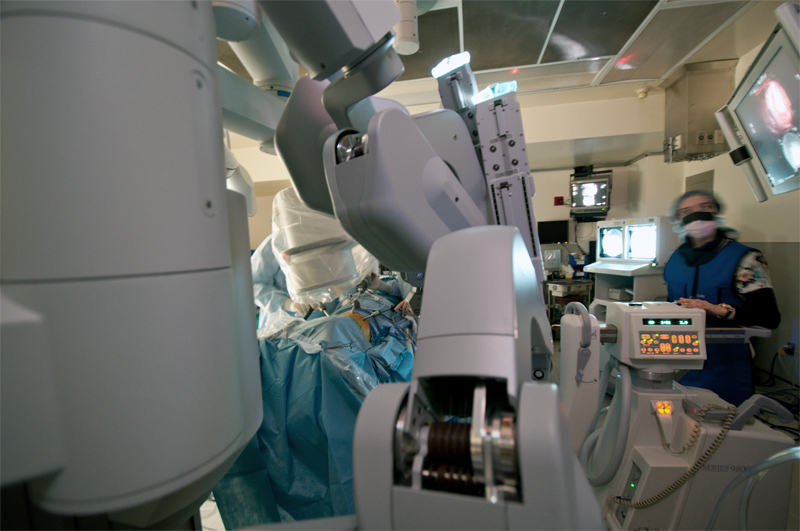 Some operations require a combination of robotics and traditional laparoscopy and thoracoscopy. Other imaging modalities that include endoscopy to visualize inside your intestines as well as fluoroscopy that can visualize your organs with an x-ray are sometimes used during a complex operation. Surgical scopes are among the oldest forms of medical instrument, with some of the earliest examples on record dating back to 70AD. Initially consisting of simple hollow tubes, over time these rudimentary devices were adapted to include magnifying lenses and illumination, eventually evolving into the sophisticated surgical scopes used today. Once the image has been digitized, it may undergo additional processing, with some systems offering features such as filtering, noise reduction, color adjustment and image enhancement. 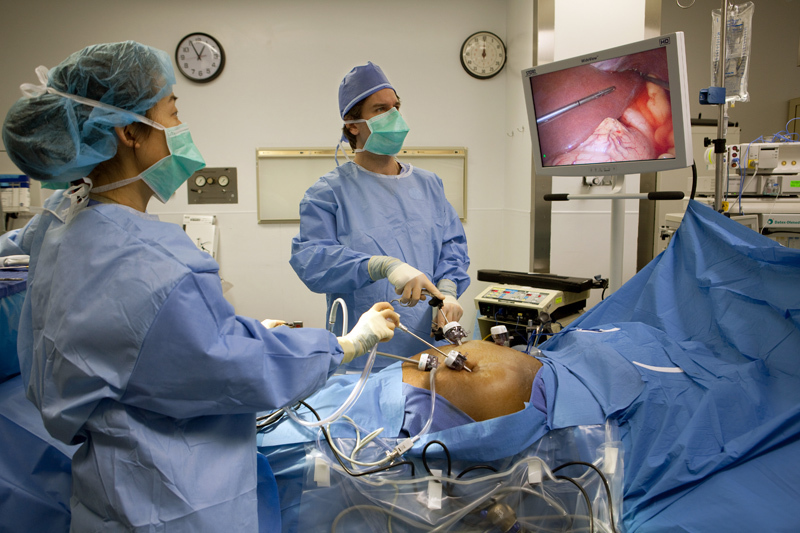 The resulting video feed is then sent to a monitor, where it can be viewed by the surgeon and the rest of the surgical team. Mesh-like structures, woven from the suture materials of the day or formed from organic materials such as animal tendons, have been used in surgical repairs for more than a century. However, it was not until the development of synthetic polymer mesh that such techniques were widely adopted. Meshes can be categorized in terms of weight, pore size, material, fiber type and flexibility. Heavyweight meshes tend to form a dense scar plate and are best suited to applications where mechanical stability is a factor. 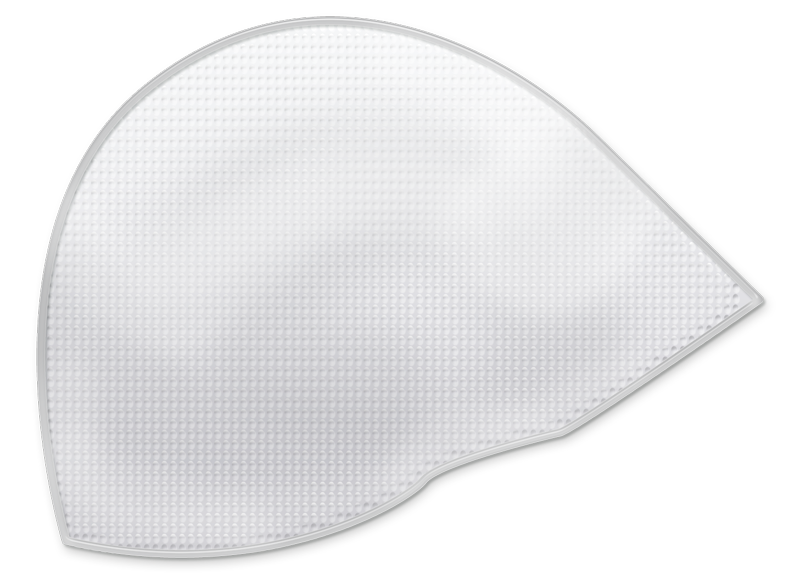 Lightweight meshes are formed from thin fibers and are designed to flex with normal physiological movement. In its simplest form, a trocar is a pen-shaped instrument with a sharp triangular point at one end, typically used inside a hollow tube, known as a cannula or sleeve, to create an opening into the body through which the sleeve may be introduced, to provide an access port during surgery. Today, a very wide range of precision-engineered laparoscopic trocars exists, with instruments available in a variety of lengths and diameters, and with many different styles of tip. Most modern trocars comprise an outer housing assembly, a sleeve that fits inside the housing assembly and a piercing stylus which slots into the sleeve such that the tip protrudes from the lower end of the instrument. Wielding bowel graspers requires practice and skill because the tips of the graspers are small and pressure at the tips is magnified; too much pressure can lead to tissue damage and too little pressure can cause the tissue to slip out of grasp. Minimally invasive techniques can deprive surgeons of the tactile feedback, depth perception and hand-eye co-ordination available to them during open procedures, making it much more difficult to judge how much force to apply. Bowel tissue is considered to be among the most delicate in the human body, so it is essential that the grasping tip is able to offer a safe, secure grip, without exerting excessive pressure. Needle drivers, or needle holders, are used to grasp and manipulate needles to enable free-hand suturing of wounds or surgical incisions within the body during laparoscopic procedures. Laparoscopic needle drivers typically comprise a long narrow shaft, with a handle at one end and a set of hinged jaws at the other. The shaft is made of surgical steel with an outer layer of non-conductive plastic or silicone. Jaws are generally made of tungsten carbide and may have additional coatings applied to improve grip.